It's time to get everyone out of the office and have a little fun! Brush Fire Studio provides a fantastic environment to gather with your coworkers for a Team Building Event that's sure to please! 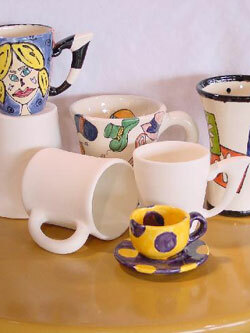 Pottery Pieces may be pre selected or chosen at the event. Each person will be provided with all the tools necessary to create a Work of Art for the office or home! Call the studio for details! * The studio is available outside of our regular hours for party bookings! Call for details.